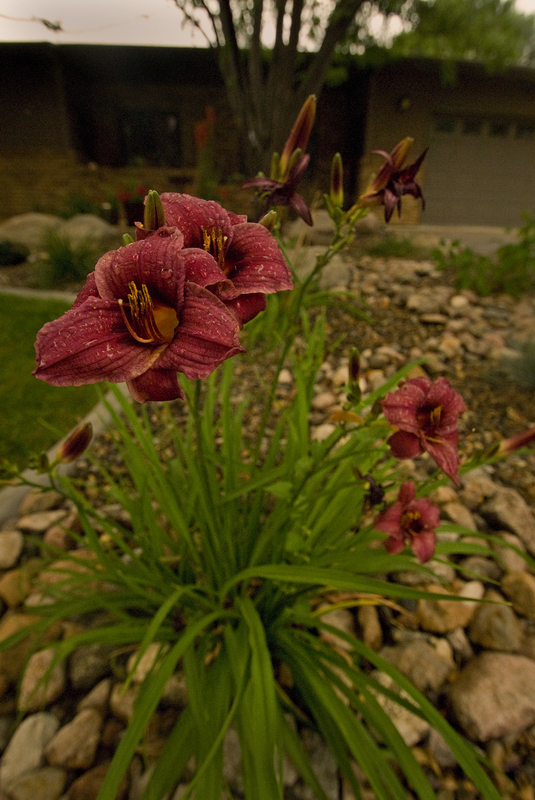 Prairie View Landscaping & Nursery, Inc. was founded in February of 2005. Our administrative office and nursery are located on approximately 60 acres of land in Baldwin, ND, about 6 miles north of Bismarck. We have a variety of equipment, from small skid steer loaders to full size loaders, from single-axle dump to side dump trucks, suitable for landscaping buildings and homes of any size. 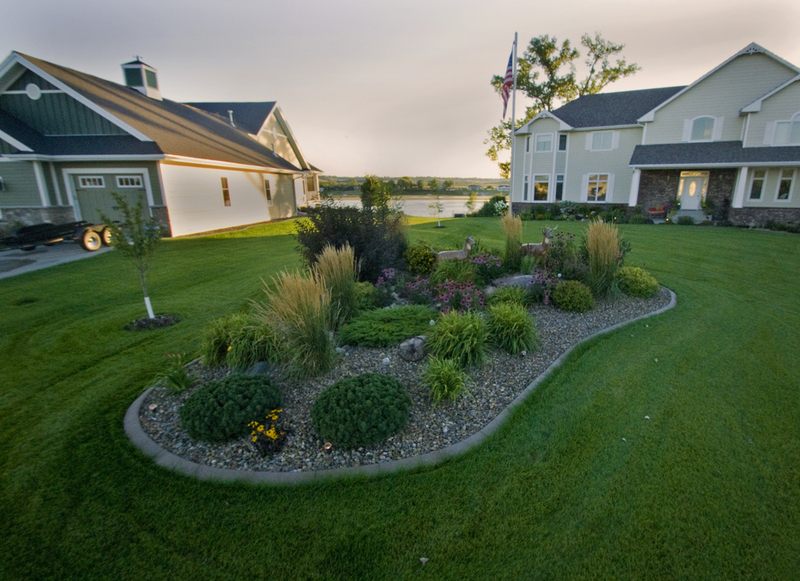 Over the past decade, we have completed thousands of landscaping jobs in Bismarck, Mandan, and surrounding areas. Our goal is to make your experience with us as smooth and easy as possible, no matter what size project it may be. Our Landscape Designers, Irrigation Specialists, and Project Managers keep a close eye on their projects and make every effort to communicate effectively with our customers! Prairie View is open year round, so feel free to contact us at any time to begin working on your project. The customer contacts Prairie View and includes as many details about the project as possible. Some questions we may ask include: Is it a new build? If so, does the lot need any grading to ensure water flows away from all structures? Does the yard have topsoil? (We recommend 4-6" of topsoil for a lush yard.) Is there a need for retaining walls, and if so, what size? Is the customer interested in installing any patios or pathways? What type of plant bed, rock or wood mulch, is desired? And finally, what plantings? Trees, shrubs, perennials, grasses, etc. We can help answer any of these questions, too! A Landscape Designer contacts the customer to further discuss the project and possibly meet on location. After getting a detailed understanding of the project and the customer's needs, the designer will 'hit the drawing board.' When the designer completes the proposal he will contact you to have a final design meeting. If you decide to choose us for your landscaping needs, we will give you a time frame for the start date. Please be aware that there are many factors that can change the time frame by weeks or, occasionally, months. Mother Nature is the major factor! Your designer will also provide you with a care required sheet (which can also be found below), to assist you in caring for their new yard as soon as it's complete. The crew arrives, led by a foreman who will lead the installation to the specifications of the landscape designer. During the course of the work feel free to contact the designer with any questions, concerns, or ideas. Now it's time for you to enjoy and show off your newly landscaped yard! The Nursery Stock & Lawn Care Sheet is our guide to help you care for your yard. Please monitor your watering frequently, as it is dangerous to under- OR over-water your grass and newly planted materials. An automatic sprinkling system does not know the weather. It's important to alter the settings regularly to account for outdoor conditions. Tip #1: If the soil is dry to a depth of a half an inch or so, it's time to water. Tip #2: With highs in the mid 70s, watering once a week should be adequate. However, when highs hit the mid 90s, watering may need to be done every other day. Do a quick check of your soil every day. Tip #3: If the soil is damp there is no need to water. But check it regularly so you can water it as soon as it dries out. Tip #4: Water plants at their base. Tip #5: The morning is the best time of day to water. But if you notice your soil is dry, water it as soon as you can. Don't put it off just to water in the morning.